Why Police Officers are Sometimes Called "Pigs" and Why "Poindexter" is Slang for "Nerd"
Unlike so many other nicknames for the police, such as cops and the fuzz, this particular term has a relatively well known origin. You see, starting around the sixteenth century “pig” began being used in English as a derogatory term for people, whether police or not, as it still sometimes is used today. It took about three more centuries, but this particular insult inevitably became a popular nickname for oft-insulted police officers, with the first documented reference to this being in the Dictionary of Buckish Slang, University Wit and Pickpocket Eloquence, published in London in 1811. “Poindexter” as a slang name for a nerdy person comes from a particularly memorable stereotypically nerdy character in the cartoon Felix the Cat. The character in question is the nephew of Felix’s archenemy, the Professor, who is, of course, named Poindexter. Poindexter was first introduced to the masses in 1959 in the cartoon version of Felix the Cat shown on TV. Over the years, he has typically been depicted in a lab coat, wearing thick glasses, and otherwise personifying stereotypical nerdom in all its glory. Despite having been around for decades, it took another Hollywood creation to really get the popularity of this slang term firmly implanted into common vernacular, rather than as a fringe moniker for nerds. This occurred in the mid-1980s thanks to the character of Arnold Poindexter in the 1984 Revenge of the Nerds. Since then, “Poindexter” has been a relatively popular moniker for anyone who exhibits extremely nerdy tendencies. Why are Women Called Sluts, Dames, and Broads? “Bobbies” are named after former British Prime Minister, Sir Robert Peel, who helped revolutionize the British police force. The less commonly known “peelers” nickname also comes from Sir Robert Peel. As for other common nicknames for the police, we have to delve into murkier waters, but “cop” probably came from “copper” / “to cop,” meaning “capture” or “seize,” possibly originally derived from the Latin “capere,” meaning “to seize,” though this isn’t known for sure. As for “the fuzz,” this term has no origin story nearly definitive enough for me to mention here, with etymologists mostly just guessing in this instance. Though, for your reference, it first popped up among various criminals in the 1920s in North America. 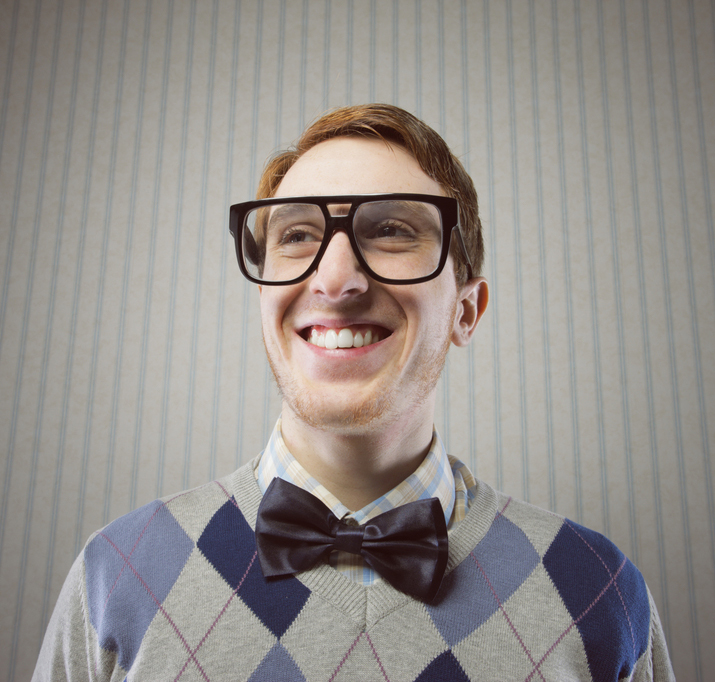 The ‘loser’ in Barbie’s Mystery Date game was a nerd named Poindexter. Easy answer on one at least… Sir Robert Peel, in 1829, established what is commonly referred to as the first police department constructed along the lines of what most of us are familiar with today. Robert Peel–> Bobbie & Peeler. Pig is an old English insult for people seen as dirty or greedy. 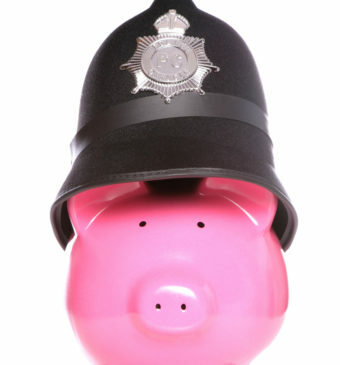 In London we used it and still do to denote no matter how clean and above board they are the police often have their snout in the trough – corrupt. As for the fuzz it comes from the London term for arrest ” to have your collar felt” or caught by the fuzz of the neck. The term copper has a possible French earlier meaning but is probably more to do with the style of hats the early metropolitan police (London) wore, they are also known as gappers because of the way they walk at 10 to 2. We also call them Old Bill. Sadly our more outlawing youths now use the term Feds. Possibly due to a limited imagination or possibly over active imagination! i was told that copper, was a reference to the officers badge. Hate to burst your bubble but “cop” is short for “constable on patrol” (COP). As with many things, we tend to shorten so after a while people would just say “tell the local cop”. Another example of this is “wog”. The english had a low regard for chinese and would say in a derogatory way “There’s a worthy oriental gentleman (wog) here to see you. I believe that is a false etymology. Cop is short for copper. I research the topic many years ago (when I was a copper) and concluded that copper was most likely linked to the caps worn by the Londom Metropolitian Police (MET) in the 19th century. Acronyms were very rare in English before WW2. If a claimed etymology relies on an ancient acronym in English is is almost certainly wrong. Locally (in Bury Lancashire) we believe that the police were called Pigs simply because Sir Robert Peel Born in Bury) invented the police Force (Peelers) in 1829. His family were also famous for breeding pigs in Staffordshire where they crossed a local breed with an Irish pig to create the black faced Tamworth Pig. Peelers / Policemen / Bobbies were the first people to control trains and that is why the signalman is still called “The Bobby” after Roberts Peel’s first name. 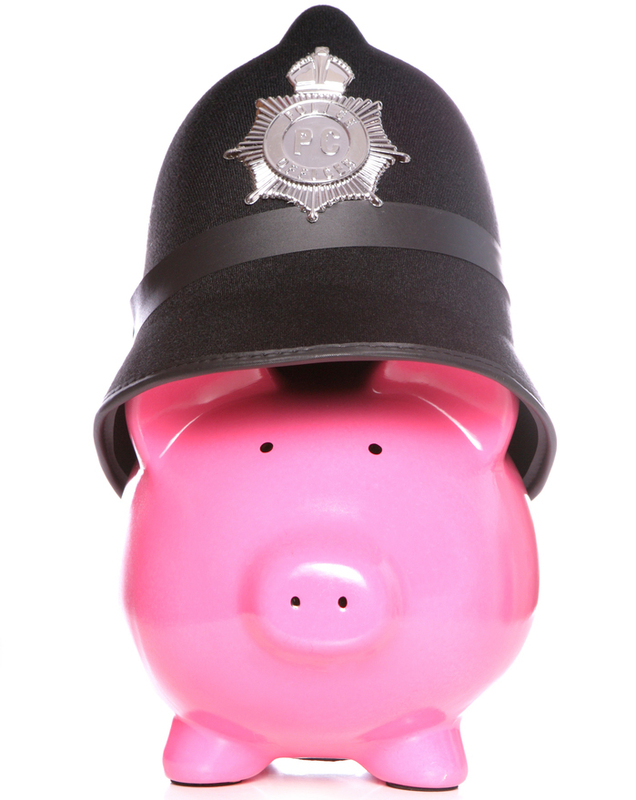 The term ‘pigs’ is often misconstrued as a foul insult to the police. Corrupt snouts in s trough etc. Others think it is a reference from George Orwells animal farm where the pigs on the farm were the police force.